Singapore 5 May 2010. Head on to Timor-Leste (East Timor), the eastern end of the Indonesian archipelago and north of Darwin, for the adventure of your life. And yes, it is safe to travel there (been there twice myself just this year)! 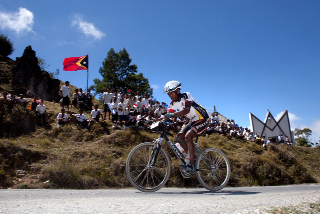 International athletes competed in the challenging Timorese terrain. Four professional sporting events are in the pipeline for foreign and local participation, with the Dili International Marathon and Tour de Timor in particular meeting international standards for quality organization. 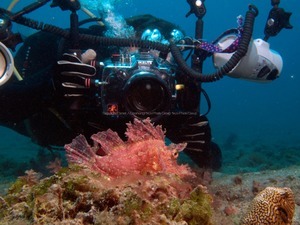 An underwater photo contest - Timor-Leste's first - will feature published photographers such as Ivan Choong (Singapore) and Muljadi Pinneng Sulbadi (Indonesia). The Adventure Race should be fun with adrenaline junkies overcoming all odds and taking on extreme situations just to prove a point - that they can do it. These events are the brainchild of the President himself. Dr Jose Ramos Horta, the second President of the newest independent nation sees them as strategic moves to uplift the people’s spirits and provide them with challenging outlets to express themselves. With the majority of Timorese in their youths, these sporting events will spur them towards better social and developmental goals while stirring new ways for them to contribute to economic growth. The athletic and fun events hope to foster confidence in the international tourism industry on the safety of travelling within this country that was once wrought with war and internal strife. The beautiful, rugged Timor-Leste oozing with rustic, and in places quaint, charm is being promoted as the newest tourist destination. Ecotourism is hence the approach to preserve the natural environments, biodiversity, wildlife, pristine coral reefs, culture and heritage. Go on, be a sport. 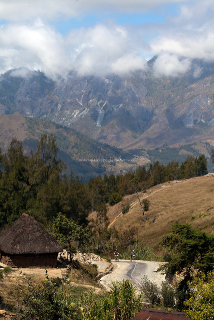 Head on to the Southeast to do your bit for the environment, and the beautiful people of Timor-Leste. Tasi Tolu, with its rich benthic marine life, is easily one of Asia's top sites for macro snaps. Timor Adventure Race, November 2010. Photos by Daniel J Groshong of Tayo Photo Group.